Michael J. Ruscitti | BSHM Architects, Inc.
Michael J. RuscittiAIA, NCARB, LEED Green Assoc. Michael J. Ruscitti, graduated Kent State University in 2010 with his Master of Architecture Degree. While attending Kent State University he studied abroad in Florence, Italy and received the Honorable Mention Award in the KSU College of Architecture and Environmental Design Integrated Design Project. 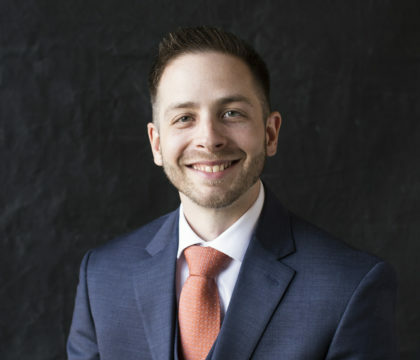 After achieving his Master’s Degree in Architecture from Kent State University, Mr. Ruscitti worked for a national developer whose primary business is commercial retail. In 2014, Mr. Ruscitti chose to join the BSHM team to expand his architectural experience. Michael has a great appreciation for the Integrated Design Process and Technology within field of Architecture, as well as, the progressive influence they have had on design and the built environment. Mr. Ruscitti’s experience includes, a 356,000 square foot Renovation and Addition to Cleveland Heights University Heights High School, Champion PK-8 School, multiple shopping mall renovations, and various commercial development projects. His responsibilities have included project management, coordination, production, construction management, in-house IT Management, as well as, BIM management and implementation. Michael is currently the Project Architect for Revere Local School District’s Bath Elementary School and Youngstown State University’s Biology Lab Renovations.